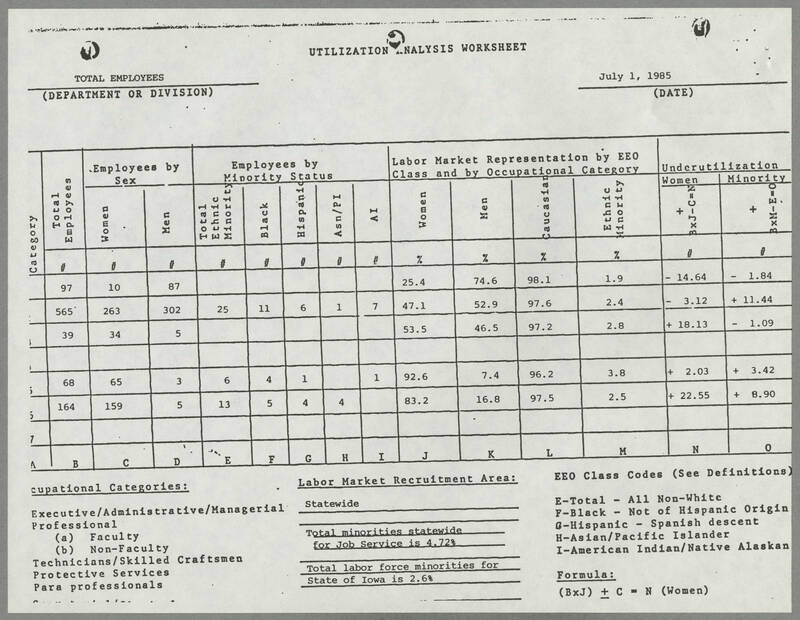 FY 1985 Analysis of affirmative action for an organization, I.e. the amount of each gender, and different races working together. Total labor workforce that was minorities for the State of Iowa - 2.6%.